At some point, all good things must come to an end; the same can be said about the incredible career of Jim McCaleb. But it wasn’t always his plan to end up in the world’s first national park. 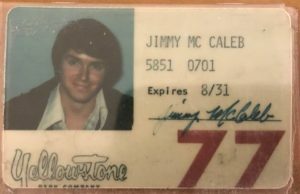 McCaleb first heard the call of the parks in his early days of college. As a parks and recreation major during his freshmen year, he and a close friend began applying for seasonal National Park Service (NPS) positions for the summer. At the time, it seemed devastating when he heard nothing back from any of his NPS application attempts. But in the long run, those rejections opened more doors than he could have imagined. It was the summer of 1975 when McCaleb first found his home in the park. His friend had accepted a NPS position in what is now known as Little Bighorn Battlefield National Monument while McCaleb had been offered a seasonal job as a room clerk (now known as a guest service agent) for Roosevelt Lodge. And from his first few moments in the park, he knew he was in for an incredible journey. From that moment on, McCaleb fell in love with the park, yet as he left after that first season ended, he assumed his time in Yellowstone had come to an end. He was offered an opportunity to return the following summer, with the promotion to front office manager in the Roosevelt Lodge. That promotion prompted him to return for several more seasons accepting the location manager position at the Roosevelt area. Afterwards, Yellowstone became McCaleb’s life. 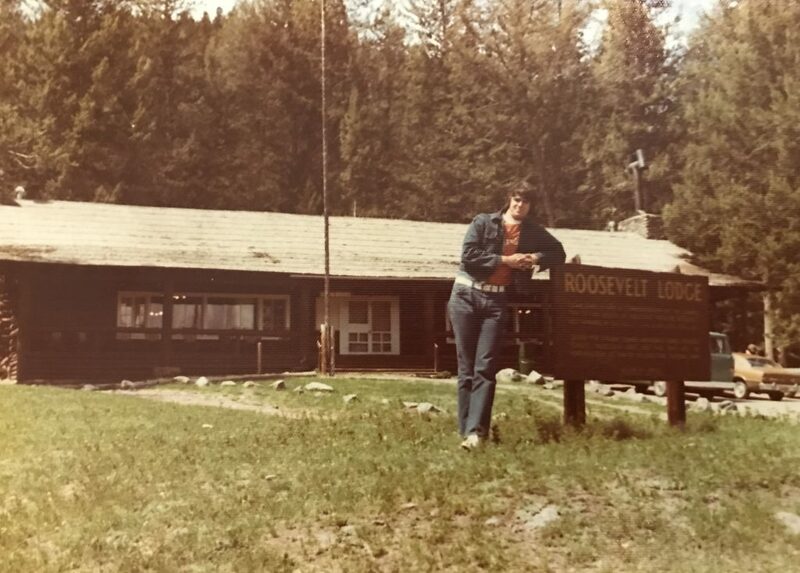 The innumerous experiences from his time in the park include meeting his wife, a few chance celebrity encounters, watching the evolution of the park lodges throughout the years, and so much more. Throughout his 40 years, he has held various positions. While he initially started as a GSA at Roosevelt Lodge, he worked at the Utah Parks Division (Zion, Bryce, Grand Canyon North Rim) before he came back to YNP. McCaleb has served as a location manager, director and VP over the course of his time here with YP Company, TWA Services, TW Services, TW Recreational Services, Amfac and Xanterra. McCaleb has also accomplished incredible things during his career. 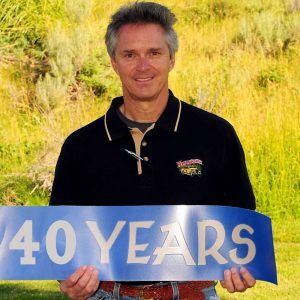 He was a Big Wyo Recipient (Wyoming Tourism industry’s highest honor for a private sector representative), was on the Wyoming Tourism Board (an advisory board appointed by the governor to represent the industry) and was chair of the Wyoming Restaurant Association Education Foundation, just to name a few things. 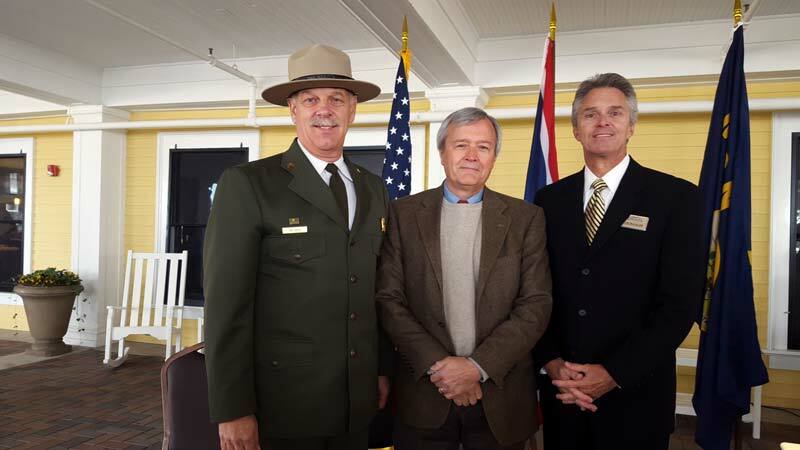 And now, at the end of a long and special career, McCaleb acknowledges how thankful he is to have been a part of the park, and how he is thankful that Yellowstone has become a part of him. Most incredibly, at the end of 40 years, McCaleb said he has no regrets. Just as it changed and shaped him so many years ago, McCaleb said he hopes that people understand the difference between seeing pictures of Yellowstone and actually coming to the park, and that this park can change a person’s life if they let it.